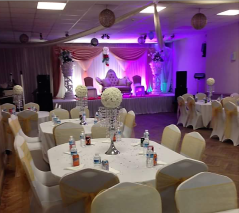 Looking for hall hire? We can help. Whatever the event, we can host it. You can bring your own food, hire our kitchen for a small fee, or we can cater for you. We have newly decorated rooms in a self contained flat to rent out to you.